We receive positive feedback from our customers about our best proposal with our wide experience and rich knowledge about Photovoltaic Power Generation System. We propose various plans, such as for private houses, schools, hospitals, office buildings, condominiums, and more. We propose Photovoltaic Power Generation System not only for residential uses but also for industrial uses. You can utilize the roof of your factory, your idle land space and much more. 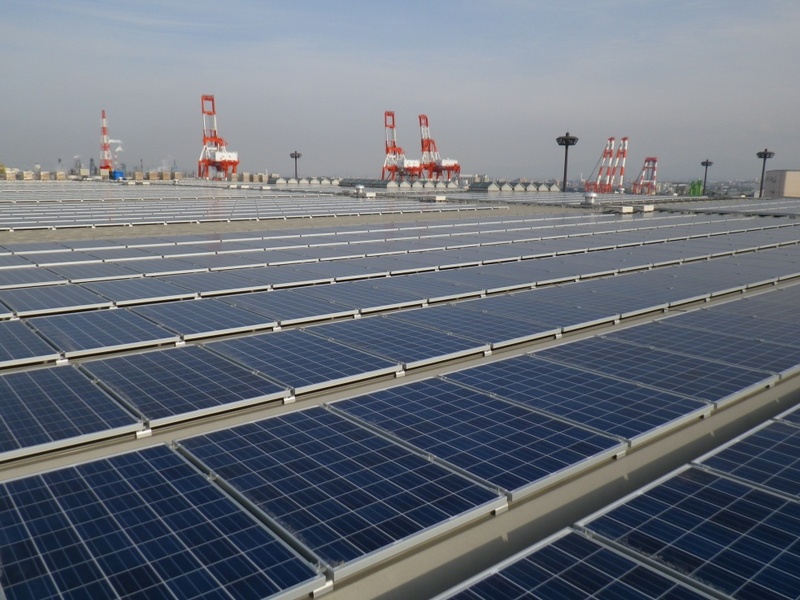 Photovoltaic Power Generation System is durable. However, periodical maintenance is indispensable for stable and long-term use. We provide free after-sales maintenance in the first year after your purchase. We provide optional after-sales maintenace every other year from the second year after your purchase. We recommend that our customers to maintain the Photovoltaic Power Generation System periodically. We can provide a variety of products, from Japanese manufacture to overseas manufacture. We will take prompt action on your request with our wide experiences in matters of great urgency. We propose best plan to introduce Photovoltaic Power Generation System after your situation. We can also provide on Industrial Photovoltaic Power Generation System　for the roof of your factory, the vacant lot of your plant, and more. We will take prompt action on your request with our wide experiences in case it is a matter of great urgency. We have a wide variety of experiences. If you are rejected by other companies, you should ask us at once. Professional adviser will conduct research. We will propose the best Industrial Photovoltaic Power Generation System for your buildings. We also support your planned buildings. On-the-spot survey is necessary to give accurate estimate. So as not to generate an additional costs, we will give accurate estimate based on on-the-spot survey such as investigation on the rooftop, whether it can get plenty of sunlight and more. We construct safely and submit regular progress reports to our customers from the construction manager. We take responsibility for construction and do construction carefully and steadily to provide safe products for our customers. We recommend our customers to have maintenance on the Photovoltaic Power Generation System periodically. Social Contribution: We will make our energy environment safe for our society and the future of our children. Respond Promptly: We will offer total solutions from view point of customer’s situation. We will cooperate with customers by cordial support. Global warming is becoming a more and more serious issue and affects our life these days.As a result of too much focus on economic growth and improving the convenience of our daily life, we affect and task the environment.We have been engaged in promoting Photovoltaic Power Generation System with these situations since 2000. We think the most important thing is to provide our customers with a sufficient system based on our rich experiences and professional knowledge. We keep on doing our best to be a progressive and advanced technological company through skill improvement and employee training.Photovoltaic Power Generation System it is an outstanding energy generating system to keep the global environment clean for future children.It is our mission to popularize Photovoltaic Power Generation System. We are going to expand our business to play a part in popularizing clean and sustainable energy generating system for the global environment. Photovoltaic Power Generation System Dept. copyright©2013- E-STAGE, All Rights Reserved.